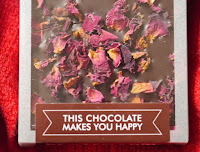 Welcome to Day #2 of Chocolate and Flowers Theme Week. 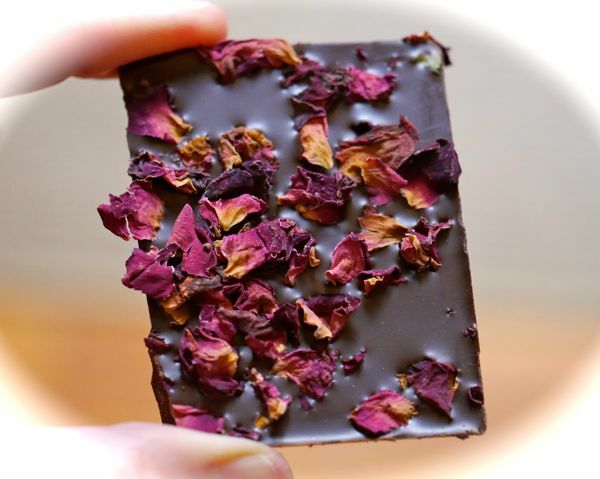 It's winter and I love seeing a few flowers pop up even during the cold, gray days. 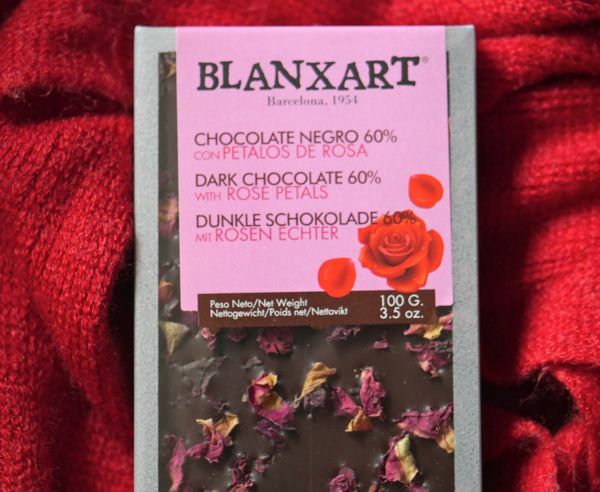 Today's indulgent Dark Chocolate with Rose Petals bar from Blanxart (Barcelona, Spain) was a reminder of spring, when rose bushes come into full bloom again. 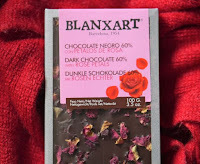 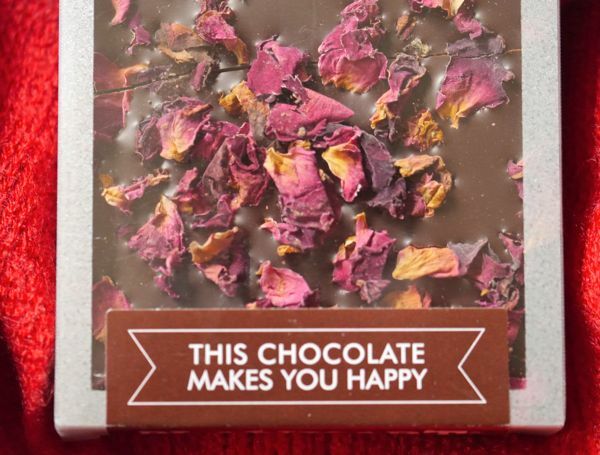 This Spanish dark chocolate bar, with attractive pink-red, rose (flower) petals pressed into one side, was made with relatively creamy and mild dark 60% cacao chocolate. 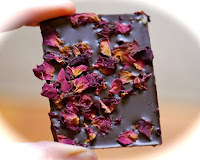 The rose petals imparted a faint, authentic rose flavor and a very slight chewy texture.